Paul Shaffer formed what soon became dubbed The World’s Most Dangerous Band back in 1982 and, for over three decades, they ruled the late night musical landscape. After a 24-year gap since their first album, “The World’s Most Dangerous Party” produced by Todd Rundgren, the eponymous PAUL SHAFFER & THE WORLD’S MOST DANGEROUS BAND features appearances by an all-star pan-demographic lineup including guest vocalists Dion, Jenny Lewis, Bill Murray, Darius Rucker, Shaggy, and Valerie Simpson. Shaffer and band mates Will Lee and Felicia Collins round out the lead vocal duties. 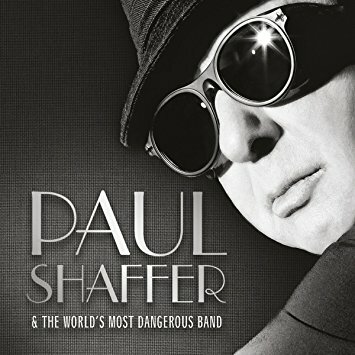 PAUL SHAFFER & THE WORLD’S MOST DANGEROUS BAND will be available from Sire Records on March 17 on CD for $18.98. The collection will also be released digitally. The group will tour behind the album with a string of shows that begins on April 1 in New York. Paul and his band will be at The Ridgefield Playhouse on Saturday May 6th. 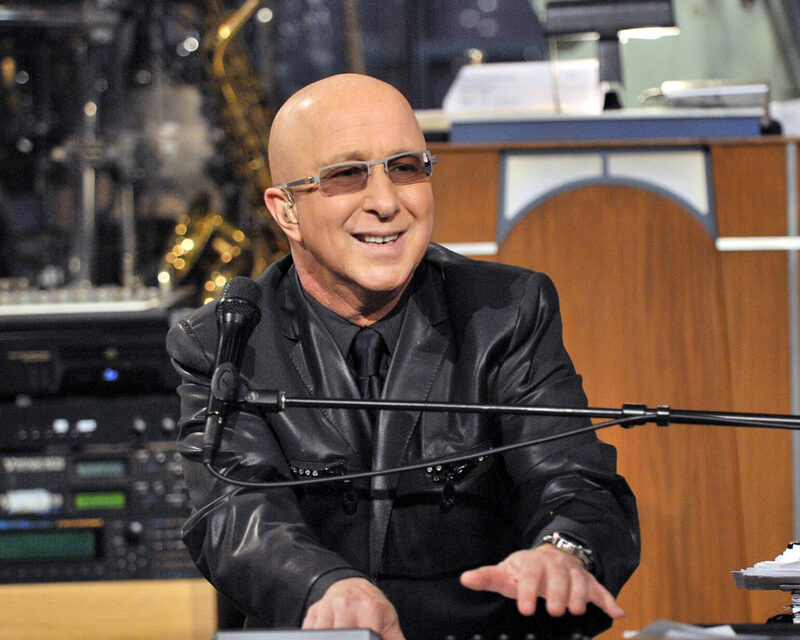 Paul Shaffer is but a humble man, whose only desire is to entertain his audience, sending them home with a smile. Who is in Paul Shaffer’s band? Why is the Paul Shaffer band so Dangerous? It works without a net–did so every night for 33 years and continues to do so. Who appears on your new album? A wonderful roster of friends, including Shaggy, Darius Rucker, Jenny Lewis, Dion (The Wanderer), Bill Murray and Valerie Simpson, who will be accompanying me on this tour and appearing as a featured guest at Ridgefield. How many years were you on Late Night with David Letterman? What is your relationship with Letterman now? Any comment on his beard…. I was with David Letterman for 33 years and now our friendship continues to this day, I see him every 3-4 weeks. I am happy to report that his beard has his own agent. How many years were you on SNL? Who in the cast do you still hang out with? I was on SNL for the first 5 years as pianist, writer of special musical material and featured player in the 5th season. I still see Chevy, Aykroyd, Billy Murray, of course, who does a bang up job on my album with “Happy Street” and there is a cute video. I sometimes run into Lorraine and Jane. If you could have lunch with anyone in the world dead or alive who would it be? I think it would be Jack Good the British producer of Shindig, the rock television show from the 60’s on ABC. This entry was posted in Music, Shopping, Who Stacy Knows and tagged Paul Shaffer.